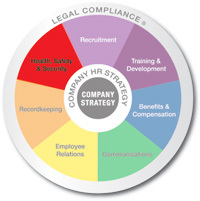 Health, Safety & Security - strategic HR inc. Whether your company is a manufacturing facility or an office environment, you want to provide a healthy, safe, and secure environment for your employees, customers, and vendors. At strategic HR inc., we can assist you in minimizing your workplace safety risks and ensure you’re in compliance with OSHA standards. Formulating processes and procedures to address illegal substances and workplace violence. Assisting your organization with Emergency Preparedness and procedures for Continuity of Operations. Preparing your employees for the unthinkable with our Active Shooter Training. Take our HR Pulse, a mini HR Audit for free.